In 1776, the Republic of Dubrovnik became the first foreign state to recognize a small, upstart republic known as the United States of America. 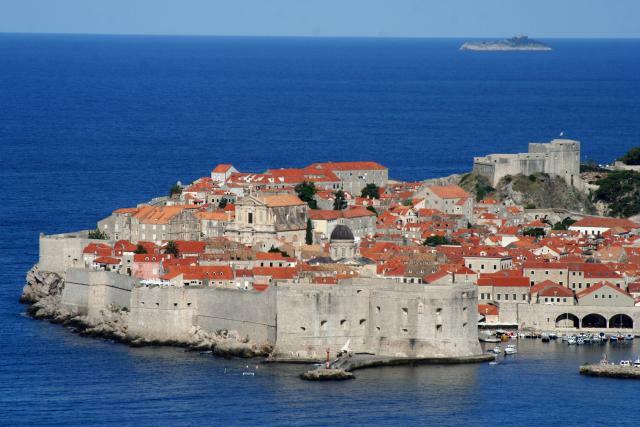 The people of Dubrovnik had, for centuries, guarded their own freedom against incursions by larger, wealthier states. It seems they were eager to support others who wanted to do the same. 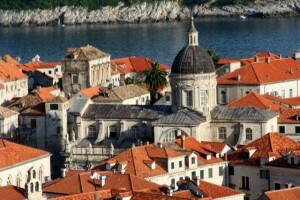 The concept of liberty has always been close to the hearts of the people of Dubrovnik. This may help to explain the recent behavior of the contemporaries of those early Dubrovnik citizens. 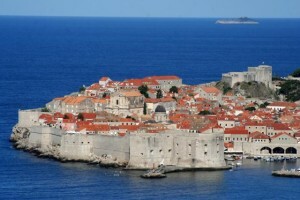 In June 1991, Croatia (of which Dubrovnik was, by then, a part) declared independence from Yugoslavia. Within weeks, the ragtag Croatian army was at war with the longstanding, Serbian-dominated Yugoslav one. The war raged mostly on the Croatia’s interior, until the Serbs shocked the world by attacking seaside Dubrovnik, the gem in Croatia’s tourist crown. 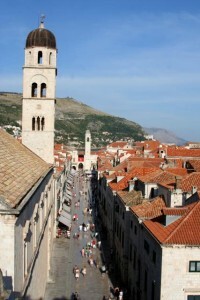 The Serbs expected Dubrovnik residents to run for their lives. Instead, they bunkered down in their cellars and waited. Ordinary citizens grabbed their hunting rifles and set off into the hills in search of the would-be attackers of their beloved town. 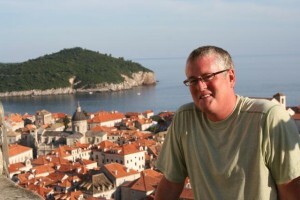 The people of Dubrovnik withstood eight months of bombing, and then the Croatian army finally showed up to bail them out. The defenders of liberty had prevailed, and their city was safe, if a bit battle-scarred. We can testify to the fact that–largely due to the efforts of those same, brave Dubrovnikers–those battle scars are barely visible today. During our recent stay in Dubrovnik, we saw not battle wounds but, instead, an incredible–and incredibly charming–town with countless offerings for the seemingly infinite number of tourists who flock there each year. The heart of Dubrovnik is the Old Town, with its cobblestone streets and terracotta roofs, and the heart of the Old Town is the Stradun, a wide promenade that runs right through the center of things. Along the Stradun itself and on the many narrow alleyways that connect to it are hundreds of pizzerias, ice cream stands and sidewalk cafes, where locals and tourists alike gather to people-watch and to admire the beauty of their surroundings. The Dubrovnik Summer Festival was talking place when we were there, so all of this was done to the accompaniment of live classical music, which only added to the ambiance. When we weren’t trying to beat the heat with a gelato and a cold drink, we spent some time learning more about the 1991 siege of Dubrovnik. In the Memorial Room of Dubrovnik Defenders, we saw photos of dozens of the locals who lost their lives in the fight to protect their town. In a photography museum called War Photo Limited, we found graphic, powerful documentation of the Croatia-Serbian conflict and the many others like it that sprung up when Yugoslavia began to dissolve. 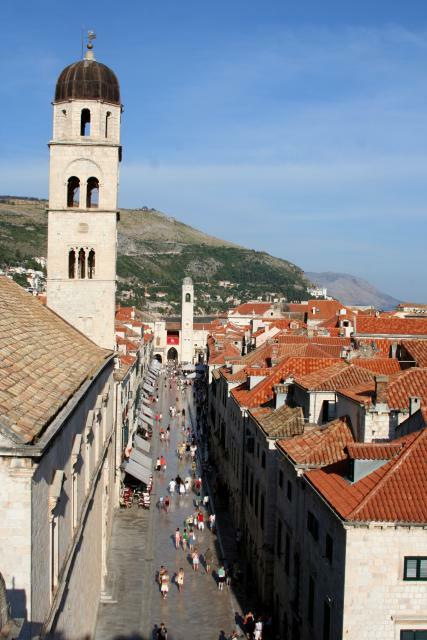 Later, we walked the one-and-a-quarter-mile loop on top of Dubrovnik’s city walls. 75 feet high in some places, the walls were a great vantage point from which to see the whole of the Old Town and a perfect place to appreciate the efforts of all those who have sprung to the city’s defense over the years.